We are looking for Youth Football Players in the Areas of Forest Hill, Everman, Meadowbrook, Woodhaven, Southside, Stop 6, Eastwood, Poly & Surrounding areas. What does the TCU have to Offer? Coaches with a Winning Tradition & willingness to teach. USA Football Certified & Dedicated Coaches. TCU Youth Sports Association (TCUYSA) is a non-profit organization aimed at giving the youth (ages 4-12) of our area (Forest Hill, Everman, Meadowbrook, Woodhaven, Southside, Stop 6, Eastwood, Poly & Surrounding areas.) a chance to participate in an ALL play Football and Cheerleading program. Our focus is on helping our youth build Character, Sportsmanship, Self-Confidence and Learn Responsibility & Teamwork in a competitive environment while gaining a strong sense of community. TCUYSA provides a structured, safe and secure environment for the children to learn these life skills. Our goal is to teach the fundamentals of football and cheerleading in an atmosphere where fun is the key word in fundamental. 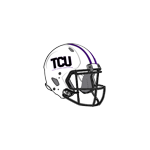 TCU Youth Sports Association is a member of the North Texas Youth Football Association. Increase the number of youth who participate in sports activities. Assist youth in balancing academics and participation in sports activities. Increase resources available to parents to assist them in supporting their young athlete. promote unity and support youth into the future. Registration fees include: game jersey, game shorts, insurance, trophy. You will need to purchase football cleats. Please bring a COPY of your Birth Certificate to registration for us to keep. Registration fees includes: game Uniform, Insurance, Trophy. You will need to purchase football cleats, BLACK helmet, shoulder pads, practice pants & practice jersey. TCU Youth Sports Association is in no form of any Affiliation With the college TCU.